RhinoCorps offers specialized scientific and technical expertise focused on all areas of modeling and simulation and services across the spectrum of research, development, test and evaluation (RDT&E). We are problem solvers – contact us today for more information on how we can meet your needs. As both modeling and simulation tool developers and application creators (Simajin Application Suite and Vanguard, respectively), RhinoCorps has wealth of experience to provide clients in the areas of simulation architecture analysis, model development and re-use, application analysis, and simulation design. As a builder of custom applications and libraries for various clients we have collected a broad range of modeling/simulation and subject matter experience that will ensure your modeling and simulation needs are addressed efficiently and cost-effectively. 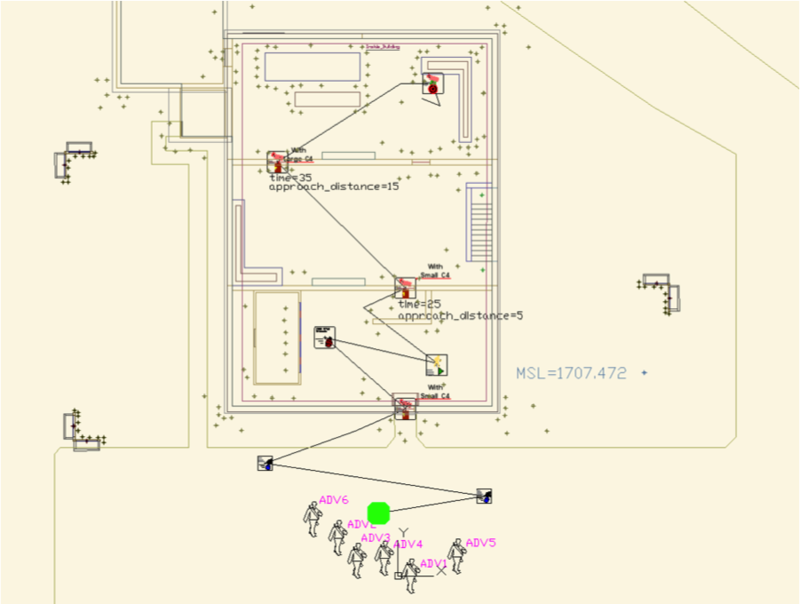 RhinoCorps provides simulation services to support activities associated with the customer’s application of our tools, this might include activities such as: facility model construction, assistance in implementing a facility provided threat profile and attack plans, assistance in implementing a facility provided defensive strategy model, execution of the simulation studies and assistance in extracting and compiling reporting data. As clients become more familiar with the tool, either through direct use or training, our consulting/service contracts typically decrease. After the initial project is completed, most customers are able to modify the facility, scenarios, and parameters and also have gained the skills to execute studies and perform their own analysis. Additionally, RhinoCorps can assist with the generation or inclusion of terrain models. Our tool support standard file formats (e.g. ESRI Shape, DTED) for elevation data that is imported and converted into a ground surface used by the simulation engine and supporting visualization tools.